Cherishing memories and honouring those who have left us with a magical floral arrangement, sheaf or tribute conveys your message of remembrance and respect in times of mourning. Help lift the spirits and send your warmest thoughts to your friend or family with fragrant blooms and styles that Heaven Scent Flowers & Gifts have carefully designed for you. 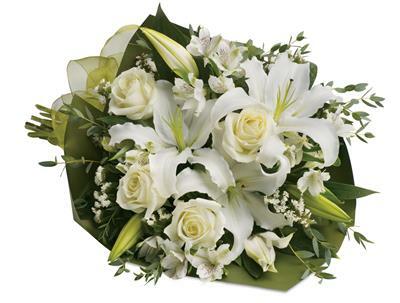 Send bright white blooms to a church or funeral service in #cityname as an offering of peace and harmony or shower a rainbow of flowers for love and compassion. No one can prepare you for the pain and sadness when you lose a loved one and a special flower delivery can represent your most heartfelt wishes and sympathies.